Aloe Vera is the member of Asphodelaceae family. Its botanical name is Aloe Barbadensis. 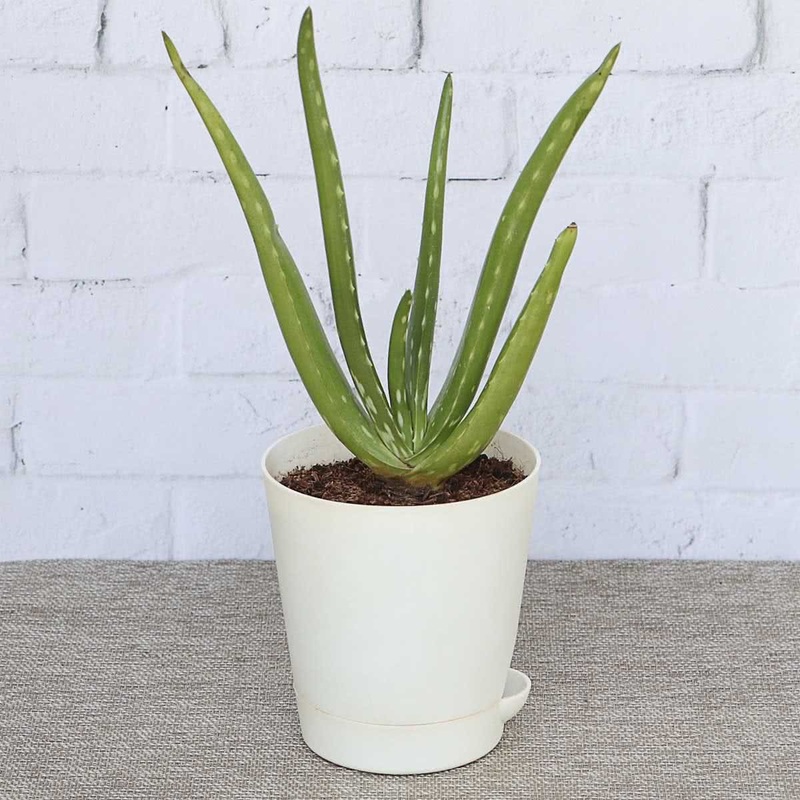 Naturalised in India, Aloe Vera plant is common along the coastal areas of Tamil Nadu and West India, but has been introduced all over the country. It is a perennial herb with fleshy leaves and condensed stem. Aloe Vera leaves contain gel (polysaccharides) and leaf exudates contain aloins, which are used for its cooling and moisturising action properties especially in cosmetic industries. 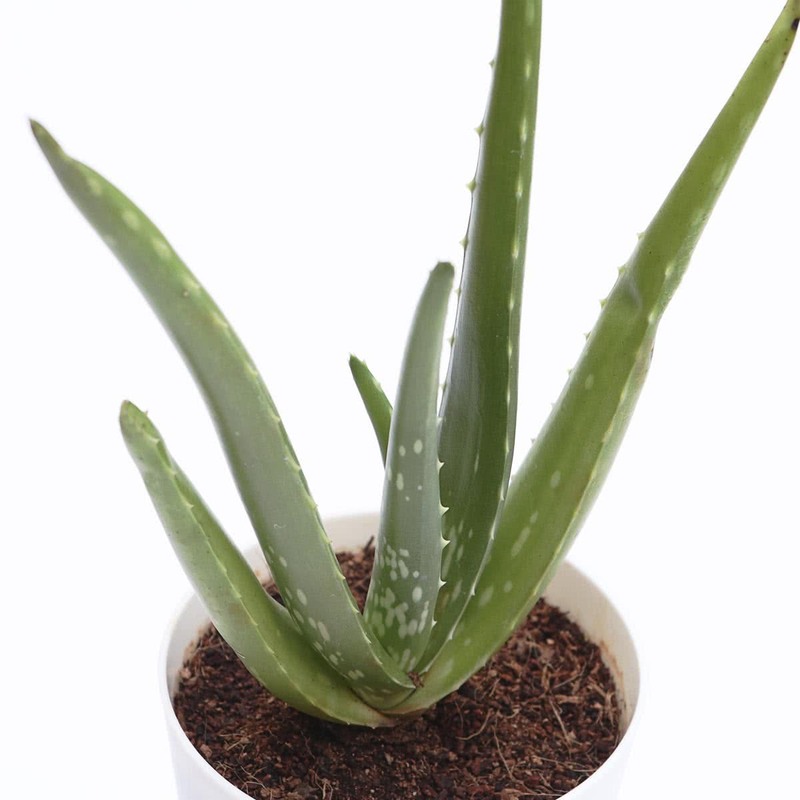 Other health benefits of Aloe Vera include lowering high cholesterol levels, supporting the immune system, boosting hair growth, stabilising blood sugar, preventing kidney stones, cooling and repairing sun skin-burn, reducing high blood pressure, strengthening gum and promoting strong teeth, detoxifying the body and hydrating the skin. Description: Aloe vera is a clump-forming succulent whose fleshy gray-green leaves are arranged in a vase-shaped rosette atop a very short stem. It is cultivated for both medicinal and ornamental purposes. Planting Season: Throughout the year. Climate: Aloe vera can tolerate a wide range of climatic conditions. Soil: Plant grows nicely in well-drained, sandy loam soil. 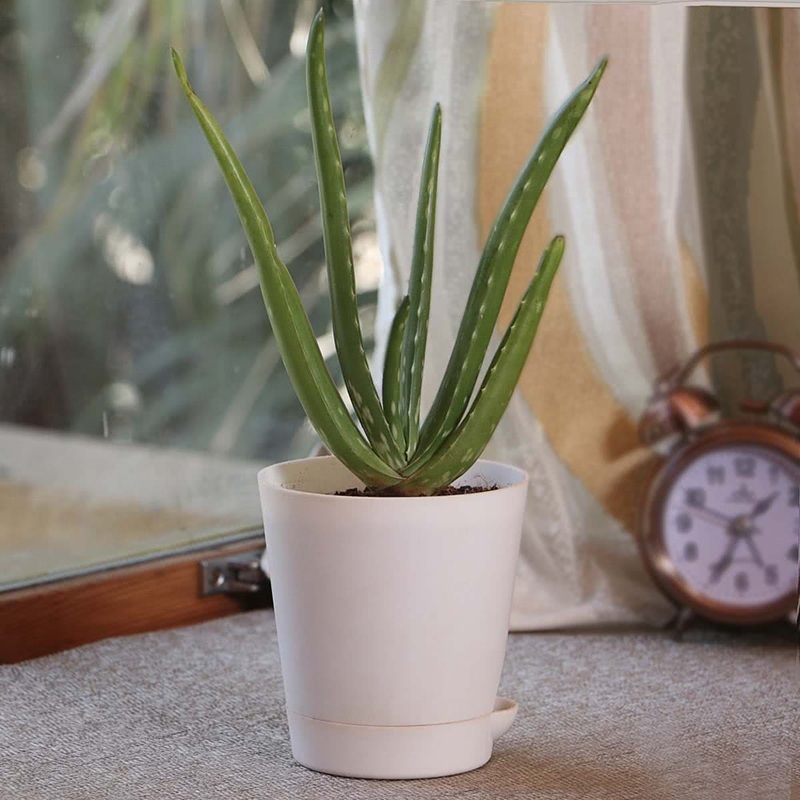 Location: Aloe vera can be planted indoor as well as outdoors. Planting: Plant in a dry corner of your garden in loose soil. If grown in pots, use 12 to 14 inch round pot with a minimum depth of 1 foot. Sunlight: Plant can grow well in the shade. 3-4 hours of sunlight daily is suitable. When planted outdoors, the plant can withstand full sunlight, but it's better grown under the shade of a tree. Watering: The Potted plant is watered once a week. Too much watering can harm the plant. Manuring: Add plenty of cow dung manure or compost in potting soil at the time of planting. Plant protection: Aloe vera is a hardy plant and does not catch any diseases as long as its growing in dry conditions. Avoid water logging at any cost. Repotting: Once a year, change the pot of your Aloe vera plant. Propagation: Over the period of few months, the pot gets crowded with baby Aloes (Pups). These can be separated from the main plant during repotting. Propagation by suckers and leaf cutting is also easy. Harvesting: Cut the portion of a mature leaf from top to bottom as when you need the pulp. Medicinal properties: Purgative, anti-inflammatory, antimicrobial, emmenagogue, emollient. Plant part used: Succulent leaves, Leaf pulp. Purifier: Half spoon (3-5 ml) of fresh Aloe juice is consumed daily for blood purification & cleaning of bowels. Wound healing: Fresh Aloe pulp has a soothing effect when it is applied externally to the skin in cases of burns, wounds and cuts. Hair conditioning: Fresh Aloe pulp is applied to hair before taking a bath as it provides excellent conditioning for healthy hair, and it also cures hair fall. Skin problems: Fresh Aloe pulp is applied on the face for fresh, younger looking skin. It also kills germs, keeps the face clean and pimple free. Ayurvedic medicines prepared from Aloe vera: ‘Kumari Asav’, ‘Kumarika Vati’, ‘Kumari Paak’.